When you’re a mum, activewear is a major lifesaver – there is no easier way to look put together (and fool people into thinking you can actually find the time to squeeze in exercise) during school drop-offs, last-minute meetings and endless errands. But friends Nadia Tucker and Stevie Angel were sick of ordering activewear that looked beautiful online, but didn’t fit them in real-life. So, they took matters into their own hands. 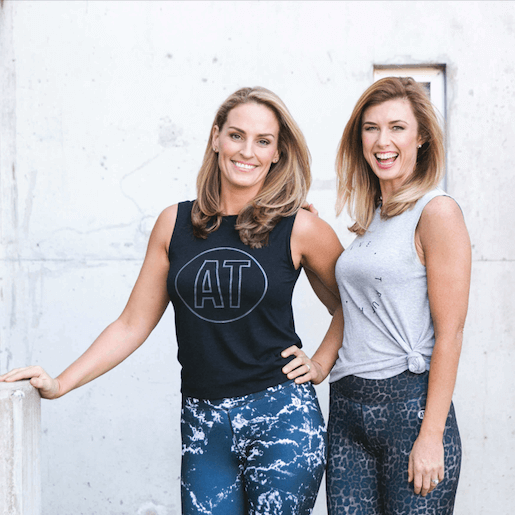 Now, they’re the girls behind Zoe Foster Blake’s favourite leggings and a booming business, Active Truth. Active Truth was born out of our frustrations over buying activewear online. We would order products that looked beautiful on the models in the photos but didn’t perform in real-life on bodies without model proportions. Our early research confirmed our belief that women who were pregnant or wore larger sizes were being underserved by the activewear market. We believed that women deserved better. The timing was most definitely not right! 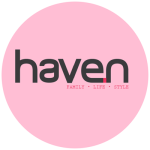 We started working on the business when Stevie’s husband was on a military deployment for six months and she had two pre-school aged boys at home. Nadia’s boys are the same age and she was working in a high-pressure job, sitting on conference calls with the US in the middle of the night. By the time we launched Active Truth 18 months later we were both back working full-time in our day jobs. But we knew as mums that life was always going to be a little hectic and there would never be the perfect time. As the saying goes if you want something done give it to a busy mum! We’ve had great momentum ever since we launched the business, but when Zoe Foster Blake posted that her Active Truth Mama Tights were one of her favourite maternity wardrobe items it was a gamechanger. We had to make the decision to leave our day jobs to manage the growth of the business. Stevie worked in marketing and Nadia was a lawyer. We have diverse working backgrounds and our skill sets really complement each other. What are the biggest challenges of being mums and businesswomen? Both roles have unique challenges but having a never ending to do list is true across the two! We used to say yes to everything but we are getting much better at protecting our time so we can focus on high-value tasks – whether that’s quality time with our kids or planning future collections. What is your top tip for maintaining a work/life balance? Be kind to yourself and realistic about what you can achieve. We prioritise what is important to us, not what we think we “should” be doing to be the perfect mums or business owners. Rather than striving for balance (and feeling like we aren’t doing anything well) we think of it like a pendulum swinging between our business life and home life and at different times they will each demand more from us. What is your biggest learning since starting your own business? Listen to other people’s advice, but ultimately trust your intuition. You know your business best. We both prioritise exercise to keep us sane and give us the energy to be mums and business owners. We love being outdoors whether is a long walk with our dogs, a trip to the beach, or a glass of wine with friends in the sunshine. Weekends are generally spent running our kids around to their various sports! If it’s a partnership, choose very wisely who you are going into business with. Make sure you have a very clear vision for your business, where you want to take it, and how much time, effort and money you are both willing to put into it. WIN // Stevie and Nadia are giving away one pair of Active Truth leggings of your choice, valued up to $119.99. Simply enter below to go into the draw to win! Competition closes Sunday March 31 and only the winner will be notified. Good luck! Next PostAmerican Express Openair Cinemas is Here!